In his June 2017 article “Against An Air Force Space Corps: Space Belongs to the Navy!”, Matt Hipple made an astute observation about the future of military space operations. Visions of future sustained operations in space do indeed resemble classic naval operations at sea. Virtually every single work of science fiction in film or print describe their space military as a space navy. NASA and commercial plans for lunar industrial parks or Martian colonies cannot help but draw comparisons to Europe’s maritime expansion — and the navies that allowed those expansions to take place. Hipple’s error is subtle but serious. It can be stated clearly. 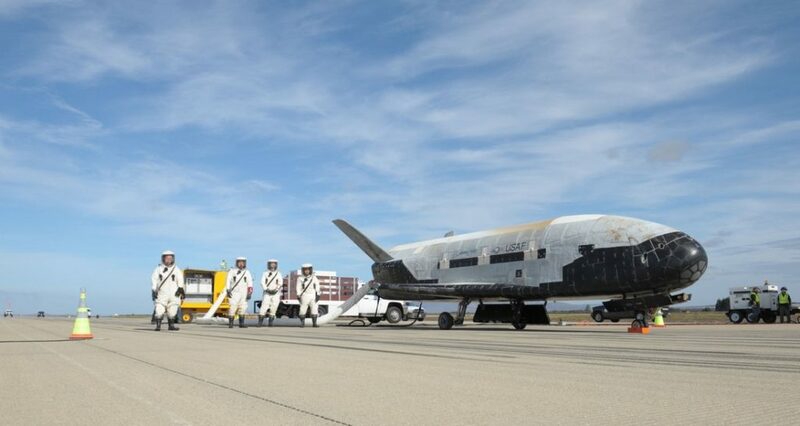 There is a great difference between the military space forces adopting a naval culture and federal government giving the “space mission” to the Navy. Unfortunately, there is some evidence that maintaining and defending space support to joint military operations is the maximum extent of space interest in the corporate philosophy of the Air Force. 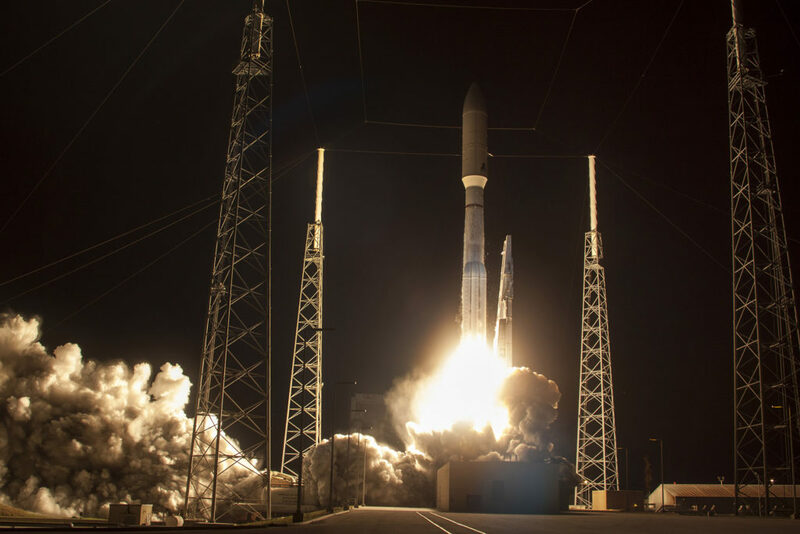 While the Air Force has provided some support to emerging space companies such as SpaceX and others, support is generally limited to use of facilities and interest is little more than in lowering launch costs for traditional Air Force missions. SpaceX plans to colonize Mars and other corporate plans to mine asteroids are of as much institutional interest to Air Force Space Command as they are to any other military organization — namely none. As Hipple argues, a space navy is not needed in a far future of manned spaceships, a naval mindset is necessary to understand the changes occurring in space now! But what Hipple doesn’t understand is that, while the larger Air Force culture may not be equipped to handle these changes, a subset of airmen — Air Force civilians, contractors and uniformed personnel — from the space culture are well aware of the necessity of adopting some or all of the naval culture. Although there is by no means universal agreement that the Air Force space culture must transition to a more naval mindset, almost all advanced space thinking — overwhelmingly the product of airmen — have drawn heavily from naval history, theory and tradition. It may surprise most, but military science in the Air Force has considered a maritime culture for space forces for almost twenty years. In 2000, Air Force lieutenant colonel Cynthia McKinley argued that most military space missions both current and anticipated were support missions that bared a very strong resemblance to the U.S. Coast Guard and offered the U.S. Space Guard as a model space organization for the 21st century. Sorry, Hipple, but Coasties deserve more than a hat-tip! Even if it isn’t universally accepted, there is a strong case that in order both to develop and embrace its holistic space mission, the space forces need to adopt a maritime organizational culture, just as Hipple argues. However, airmen – not sailors — are at the forefront of that debate. What does have far wider support is the value of traditional naval thinking to military space thought. The three most comprehensive academic works on space power theory derived from military studies, Everett Dolman’s 2001 book Astropolitik, John Klein’s Space Warfare from 2006 and my own Developing National Power in Space from 2014 all borrow heavily from naval history and theory. Klein took his inspiration from the writings of Julian Corbett while I preferred Navy admirals Alfred Thayer Mahan and Robert Wilson Shufeldt. Dolman, ever the iconoclast, tried to center his ideas on the land-power theorist Halford Mackinder, but even he couldn’t escape the very navalist economic expansion argument to explain why deep-space operations were so important to the future of the country. But even though these books reflect naval culture in their thinking, the fact remains that they are the product of airmen. Dolman was an Air Force civilian at the time of writing Astropolitik and remains one to this day. I have served as an Air Force officer both on active duty and the reserve. Klein wrote his book as an active-duty naval officer, but is now a contractor on the Secretary of the Air Force’s space staff. They all have also been textbooks for Air Force professional military education. From organizational debates to descriptions of the space environment, the greatest proponents of applying naval culture to space have been … airmen. But what of that science fiction staple that Hipple offers as his closing argument in favor of Navy organizational superiority, the space ship? Again, history offers some perspective. The only serious Department of Defense program to develop, build and operate anything that resembles the popular conception of a space ship was Project Orion which ran from 1957 to 1965. It was a remarkably visionary effort to launch spacecraft weighing as much as a World War II light cruiser with dozens to hundreds of crewmen into orbit using the power of miniature nuclear bombs. Although it was killed before it could enter its prototype stage by Robert McNamara’s Defense Department, the project’s most ardent supporter was the Airman who commanded the most fanatic organizational example of Air Force zealotry — Strategic Air Command. SAC’s third commander-in-chief, Gen. Thomas S. Power, has been described as the ultimate “air power absolutist,” and yet he championed Orion — which looks and operates far more like a ballistic missile submarine than it does a bomber — as SAC’s future in space. Power himself never mentioned Orion as the harbinger of a new navy. He saw Orion as a way to keep SAC nuclear alerts airborne — well, spaceborne — indefinitely, though he supported Orion for its potential for American economic expansion into space as well. But Orion nonetheless enjoyed a great deal direct of naval influence. The man who convinced Power of Orion’s potential in the early 1960s, nuclear weaponeer and Air Force captain Donald Mixson, served as a Marine in World War II. Even though he pitched Orion as a SAC bomber, his concept of operations exhibited a great deal of unacknowledged, and perhaps subconscious, naval thinking. However, Mixson’s friend and fellow Air Force captain Frederick Gorschboth wrote a more detailed concept of operations that envisioned Orion fleets mining, blockading and gaining control of space in true Mahanian fashion. That makes sense, for young Captain Gorschboth had only a few years prior graduated from the U.S. Naval Academy. But even though there may have been significant naval influence in the first attempt to build a space ship like those seen in movies, the supporters were nonetheless all airmen. These examples serve as a positive case that airmen involved in the Air Force’s space subculture appreciate and often champion adopting varying amounts of naval culture to correctly address the myopia from which the larger pilot-driven Air Force culture suffers when considering space operations, the situation that Hipple correctly diagnoses. However, a strong negative case exists that Hipple’s prescription — giving the space mission to the Navy — is a recipe for disaster. 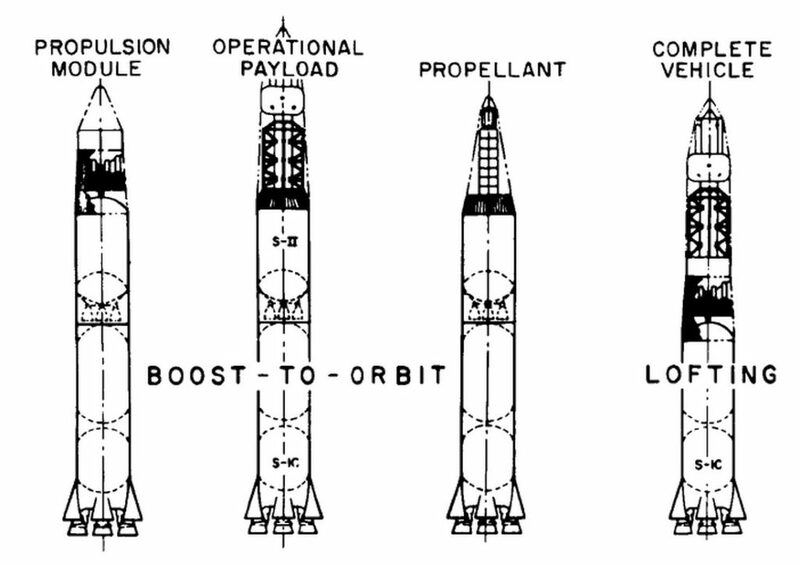 In the article, Toti argued that “the Air Force still lacks a positive identity in space” and recommended the Air Force space stovepipe be smashed by eliminating the unified combatant command Space Command and distributing the various defense space missions throughout the services, with the Navy gaining space communications and navigation. “We need to begin to view space in proper terms — as a place that provides significant force enhancement but where no military operations are conducted,” Toti concluded. It’s a sentiment very similar to Hyten’s more current assessment. Space Command disbanded in 2002, and the “space mafia” lost its unified combat command and its ability to forcefully argue for space development, much as Toti hoped for. Fifteen years later, Congressman Mike Rogers’ additions to the House of Representatives’ 2018 National Defense Authorization Bill, which prompted Hipple’s original article on the Space Corps, also attempts to partially remedy Toti’s disastrous recommendation by re-establishing Space Command, but as a sub-unified command under Strategic Command. One suspects that Rogers shaped his mark this way because re-establishing Space Command as full unified combatant command would have generated too much resistance, but it’s likely Rogers supports this specifically for its value to champion space programs in a joint environment. After submitting his mark, Roger’s quipped that the Space Corps and Space Command were necessary because the current space organizational structure “got us into the situation where the Russians and the Chinese are near-peers to us in space,” presumably because the system managed to resist advanced space development for over 15 years — just as Toti had hoped for — while Russia and China have used America’s pause to develop at an extraordinary pace. There is no reason to believe that the Navy would be better stewards of space than the Air Force has been, and Toti’s argument is but one example of how the Navy would be far worse. Perhaps the most significant reason to resist handing the space mission to the Navy is because it would derail the progress of the space navy itself. Almost immediately after establishment, the Space Corps will need to develop its own doctrine. Freed from Air Force interference, it’s highly probable that the rich intellectual heritage of the Navy and its myriad benefits to military space will be quickly recognized by the Corps. The author believes the new service will begin the transition into America’s newest naval culture very shortly after independence. Whether the Corps becomes the U.S. Space Guard in 2020 or Starfleet in 2119 is of relatively little consequence. The space culture will be started on the proper path to the space navy. But that path does not intersect with the Navy! Tying the space culture to terrestrial sea operations will be every bit as regressive as keeping it tied to terrestrial air operations, regardless if the two cultures are inspired by the same books. The professional military space cadre exists today, they are eminently capable of defending America’s space interests, and they do not need to belong to the Navy to embrace the navy culture America needs to succeed in space. The creation of the Space Corps should not be seen as a failure on the part of the Air Force. As Hyten has said, space development to date has been an airman’s story. However, Hipple is right in diagnosis, the Air Force does not have the mentality or expertise to conduct space operations as necessity and opportunity drives them to become increasingly analogous to naval operations. Airmen themselves have noticed this and are preparing to shift the space culture to become more like the naval culture Hipple thinks is necessary. With the space culture’s destiny in its own hands as the Space Corps, it will be able to secure its transition into a naval service at the proper time without interference from the Air Force or the Navy. When America deploys a space navy that would make Robert Heinlein or Gene Roddenberry proud, the officers of her ships will be likely to hold the rank of ensign, commander and admiral. They may even read Mahan and Forrester for inspiration. But they will certainly be the proud children of airmen. Brent Ziarnick is an assistant professor of national security studies at the Air Command and Staff College at Maxwell Air Force Base in Alabama. He’s a member of the U.S. Naval Institute, a fellow of the British Interplanetary Society and is intensely proud of his Air Force commission — but hopes to retire in a Space Corps uniform. The views expressed in this article are those of the author and do not necessarily reflect the official policy or position of the Air Force, the Department of Defense or the U.S. government. This story originally appeared at The National Interest. Op-ed: Is President Buhari aware of this?